One of the big advantages of Android over iOS is that if you like playing games with actual controllers, your options are more plentiful. While iOS has had an official controller standard for a couple of years now, most controllers are expensive and support is often limited. However, on Android, controller support is much more widespread. One reason for this market dynamic is that official support for controllers has been established in Android since version 4.0, Ice Cream Sandwich. The support is so well-integrated such that you can control your phone or tablet by using a compatible controller. There's no particular sanctioning body that requires that a controller works with Android, such as with Apple's Made for iPhone licensing. This means controllers can be cheaper, as anyone can make an Android-compatible controller. 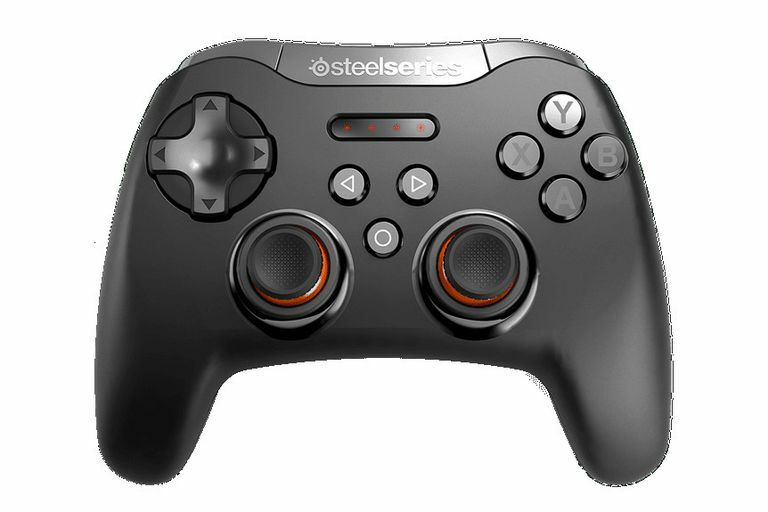 The cheapest iOS game controller by MSRP is the $49.99 SteelSeries Stratus. You can buy many cheaper ones for Android. In fact, Android Bluetooth controllers work over the Human Interface Device protocol, so they can work with computers as well, though you may find compatibility to be suspect. Many Android Bluetooth controllers don't work with their analog joysticks on desktops. But still, you can generally expect them to work on Android. If you have a wired Xbox 360 or Xinput-compatible controller, then you should be able to use it with your phone or tablet. For most Android devices, you'll need what's known as a USB host cable in order to plug a full-size USB-A plug into the micro-USB port on your phone or tablet. But many, if not all of the best PC gaming controllers should work on Android if you have the right adapters. Official Xbox 360 controllers should work, and many other controllers, such as the Logitech F310, should work as well. Android's chaotic nature, where manufacturers often apply different tweaks and functions to the OS that Google did not program, means that any individual device may or may not work. But for many devices that comport closely to Google's standards, they should work. Android's open nature means that you can even use the Wii remote, DualShock 3, and DualShock 4 with your Android phone or tablet. If you have a DualShock 4, buy a smart clip so you can easily use your phone on top of the controller. SteelSeries makes high-quality controllers, including a new SteelSeries Stratus XL for Windows and Android. If you're a multiplatform gamer, this device might be worth checking out. Not only does it support Android, but it also supports Xinput on Windows, giving it widespread compatibility with controller-capable games there. The Stratus does not have a clip to hold a phone, so you'll need to use it with a tablet or TV box. If you're looking for a good budget option, iPega makes several controllers that will work well. They also have some exotic options, including ones with touchpads for mouse control on the controller. As well, there's a particularly rare option: a controller that actually supports a tablet, and allows you to hold it in your hands as opposed to propped up on a table or hooked up to a TV. It may be a bit wide, but if you're used to the Wii U tablet controller, this should work fine for you. While there are hundreds of games that support controllers, including first-person shooters such as Dead Trigger 2, action-RPGs like Wayward Souls, and racing games like Riptide GP2, support is occasionally limited. Often times, mobile developers are focused on iOS, and they're less aware of Android's capabilities.